There's something so clean and fresh about a brand new year. It's a chance to start again, to do all the things that you wanted to do in the year before. Yet I find the idea of New Years resolutions completely unappealing... I think it might be the word 'resolution' itself. Resolution is the name for the end of something, not the beginning. And I don't want to do something that I have to be resolute about. It sounds so forced and unpleasant. 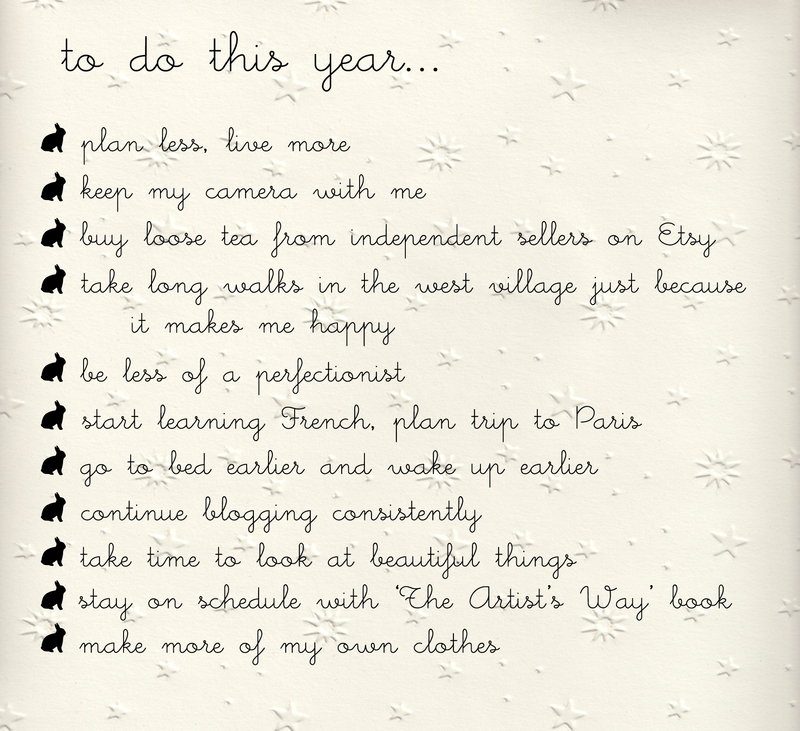 I was inspired by this post on the lovely Besotted Brand Blog, where Miss B. makes a list of her goals for this year. That sounds so much less ominous than the r-word. I really liked how her list was a balance of professional and personal ideas. So I decided to give it a try, too-- here are 11 things I'd like to do in 2011. The background is by orangedotgreen, who makes and posts lots of very pretty textures. I can't get enough of this song today. mmm! such a good song.